AERC 2017-18 DIRECTOR-AT-LARGE NOMINATIONS close Friday, September 30. There is a full slate of candidates but it's not too late to toss your riding helmet into the ring. Requirements: current AERC membership, a $5 nomination fee and a nomination statement (up to 600 words, due next week). When last week's FEI World Endurance Championships ("WECH")in Slovakia made the news for all the wrong reasons, echoes of endurance races of the past rumbled to the surface. For the past 125 years, organized equine endurance spectacles have pitted horses against fate. Thanks to FEI TV, we could all watch the WECH horses in action, acting out the latest chapter in endurance history, for better or worse. This fall, that colorful and often controversial history will be spotlighted in a revealing new book that cannot--and should not--be ignored. To be truthful, the only time we usually hear about endurance at the international level is when something goes wrong, and it usually has to go very wrong to attract the media's attention at all. How much worse can it get? 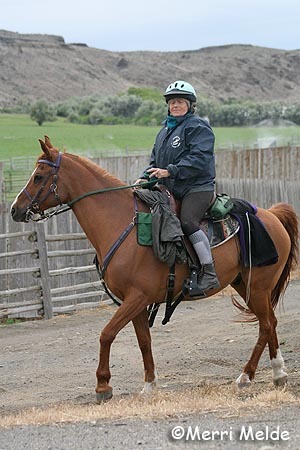 Last week, Ajayeb, the 15-year-old chestnut mare ridden by Sheikh Rashid Dalmook Al Maktoum (UAE), was euthanized on the trail, after she tripped and fell on the fourth loop of the track, suffering an irreparable injury to her right front leg. 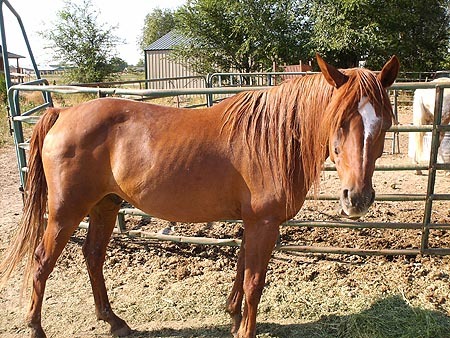 Fair-endurance.net reported that he mare allegedly slipped on a plastic water bottle discarded by riders who came before. Victory celebrations for some countries stopped short when the first group of finishers didn't meet the veterinary inspection criteria. Two horses ridden by United Arab Emirates riders,Napoli Del Ma (Saif Ahmad Al Mazroui) and Quran El Ulm (Ganem Abdullah Al Merri), were vetted out and Uruguay’s LG Muneerah wasn’t presented by Jonatan Rivera Iriarte. Grumbles and growls from around the world criticized the race on even more issues than direct welfare questions related to the fatality and the condition failure of the first to finish. Many competitors rode rented European horses that they did not own or even normally ride because the transport for their own horses was not paid for by the event. The required FEI necropsy of the deceased horse was bypassed because the horse could not be transported across the border to Austria to undergo post mortem tests at the University of Vienna. According to news reports today in the British magazine Horse and Hound, the horse's remains were shipped to a crematorium instead. The 2016 Distance Nationals are underway in Vinita, Oklahoma, this weekend. 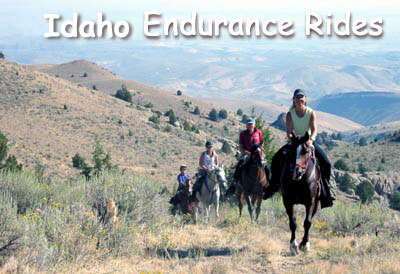 They are being run in conjunction with the Appaloosa National Championship Endurance Ride. Jacoby Hayes and DJBCC Mattingley Wizard won the AHA Purebred 50 Mile Championship in a ride time of 5:44. Terry Reed and TR Olena were second in 5:46, and Kathy Broads and Fougueux were third in 5:56. 9 out of 10 starters completed the ride. 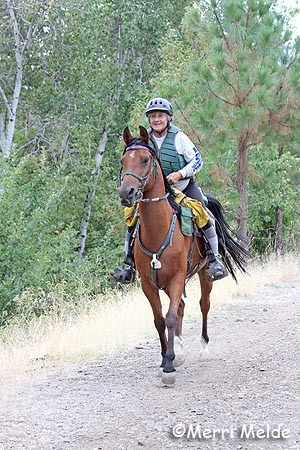 Wendy Justice and Rococo Amber won the AHA Half/Anglo Arabian 50 Mile Championship in a ride time of 5:44. 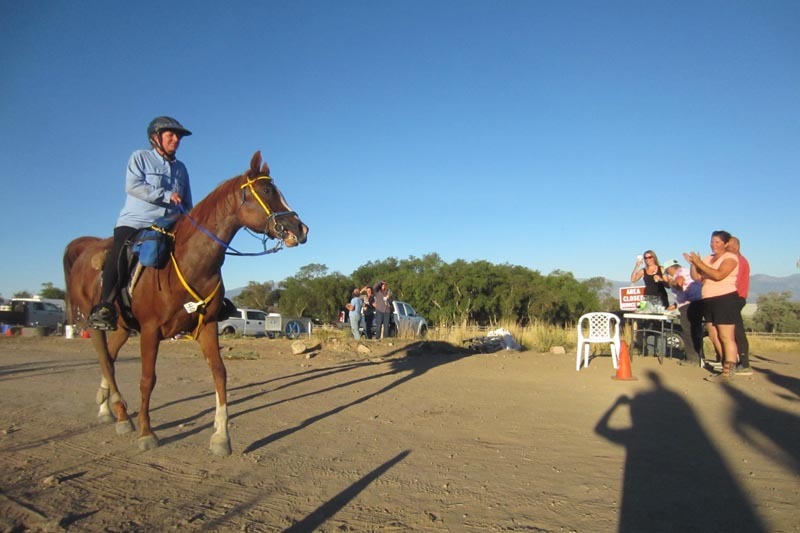 Louise Burton and CR Blonde Bombshell finished second in 6:12, and Kerry Lowrey and Takoda were third in 6:30. Junior Skylar Zortz and Rococco Safire finished 5th in 8:05. Five of six starters completed the ride. All 3 starters completed the AHA Purebred CTR Championship, with Terryl Reed and TR Olena taking the Championship win with a score of 197. Deanne Prusak and TA Kaiser were Reserve Champions with a score f 194. 2 starters were in the Half/Anglo CTR Championship, with Taylor Walker and Backstreetstrutter GSA taking the Championship with a score of 193. Miranda Miller and Brittany Rolsthedice were Reserve Champions with a score of 188. The 100 Mile ride is underway today. 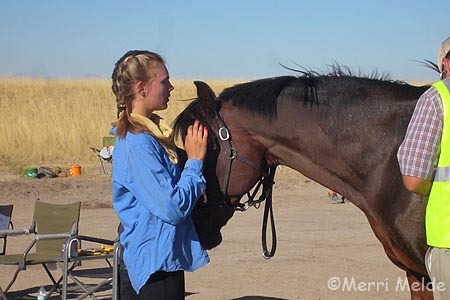 (16- Sept.-06) − AURORA, COLO. – The Arabian Horse Association (AHA) is celebrating the 14th anniversary of the Sport Horse National Arabian & Half-Arabian Championship Horse Show September 21 – 25, in Nampa, Idaho at the Ford Idaho Horse Park. This horse show is unique - not just to the Arabian horse breed, but to other breeds as well. AHA is the only breed association that offers a Sport Horse only, National Show for its horses and exhibitors. Arabian Sport Horses are known for their athleticism, strength and diversity and will showcase these abilities at the National Event. From Dressage to Hunter/Jumper, Pleasure Carriage Driving to In-Hand classes and much more, AHA invites the residents of Nampa and surrounding areas to come out and see the best equine athletes in the industry. Class sessions begin respectively at 8 a.m., 1 p.m. and 7 p.m. The show is FREE to the public and also offers the Total Arabian Interactive Learning (T.A.I.L) tours on Thursday, September 22 at 6 p.m.; Friday, September 23 at 4 p.m. and 6 p.m.; and on Saturday, September 24 at 10 a.m. and 2 p.m.
Tours are FREE and open to all ages. Tours are led by an expert guide and invite attendees to participate in a behind-the-scenes view of the show. Kids and families on the tour will meet Arabian horses, watch classes and take home information on the Arabian horse. Contact AHA at youth@arabianhorses.org or call (303) 597-8251 to schedule a FREE tour of the facility and meet some Arabian horses! Event attendees can learn more about the history of the Arabian horse by enjoying the Tour of Arabian Horse Legends: A Miniature Exhibit. The exhibit will be open daily and boasts a timeline of where the Arabian horse started, and where it is today. Additionally, the Sport Horse National Show is hosting a silent auction to benefit the Boys & Girls Club of Nampa and the Arabian Horsemen’s Distress Fund (AHDF). Donation items, both equine and non-equine will be accepted at the horse show. AHA invites the community to participate in the auction and help to support these two organizations. Contact Dana.Bechtel@arabianhorses.org for more information on the Sport Horse Nationals Silent Auction. For more information on AHA’s Sport Horse National Championship Horse Show, visit www.arabianhorses.org/shn. (19-SEPT.-16) – AURORA, COLO. – Heralded as the most diverse and athletic horse on the planet, the Arabian horse excels in a variety of disciplines, all with grace and beauty. This week kicks off three prestigious events for the Arabian Horse Association (AHA) – the Arabian breed registry in North America. First, on Wednesday, September 21, the 14th Annual Arabian & Half-Arabian Sport Horse National Championship kicks off at the Ford Idaho Horse Park in Nampa, ID. Running through the 25th of September, Sport Horse Nationals is the only Sport Horse show offered by a breed association. From Dressage and Carriage Driving, to Hunter/Jumper and In-Hand classes, Sport Horse Nationals demonstrates the athletic diversity of the Arabian and Half-Arabian/Anglo-Arabian horse. A live-stream of the indoor arena can be viewed at www.ArabianHorseResults.com. Learn more about the show at www.ArabianHorses.org/SHN. Then, on the evening of Wednesday, September 21 at 7:00 PM EST, the Arabian horse will be presented at the Arabian U.S. Open Horse Show, as part of the Rolex Central Park Horse Show in New York City, New York. While not a national or rated show, this platform displays the Arabian horse on a worldwide stage, potentially to an audience that has never before experienced their magic. Horses and riders at the Arabian U.S. Open attend by invitation only, with just eight classes offered: Arabian Mounted Native Costume, Arabian Junior Mare Halter, Hunter Pleasure Pro/Am, Arabian Junior Stallion Halter, Western Pleasure Pro/Am, Arabian Senior Mare Halter, Country English Pleasure Pro/Am and Arabian Senior Stallion halter. This unique setting is a huge marketing opportunity for the Arabian breed and is presented by AHA and Aljassimya Farm. To learn more about this show, visit www.ArabianUSOpen.com. The show will be live-streamed Wednesday evening by the Arabian Horse Global Network on www.ArabianHorseResults.com. Finally, on Thursday, September 22, the first ever multi-breed National Distance Ride will take place in Vinita, Ok. 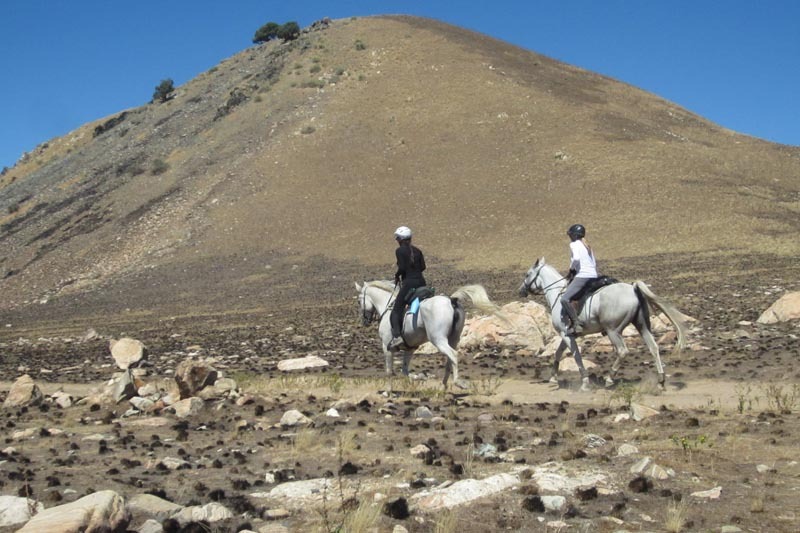 The AHA Distance Nationals has teamed up with the Appaloosa Horse Club for a four day competition that proves the endurance of the Arabian horse; challenges rider and horse teams to compete to their best ability; and awards hard work and determination. 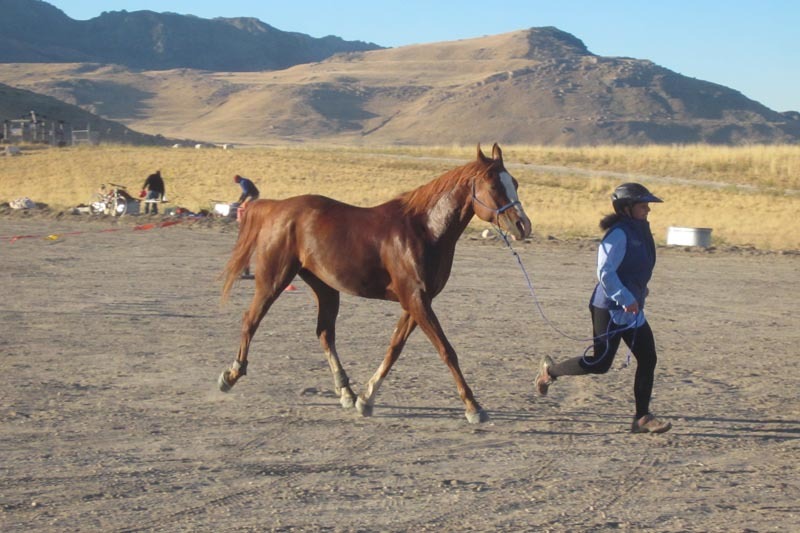 The Arabian horse has dominated the Distance sport for years due to the breed’s stamina and natural endurance abilities. 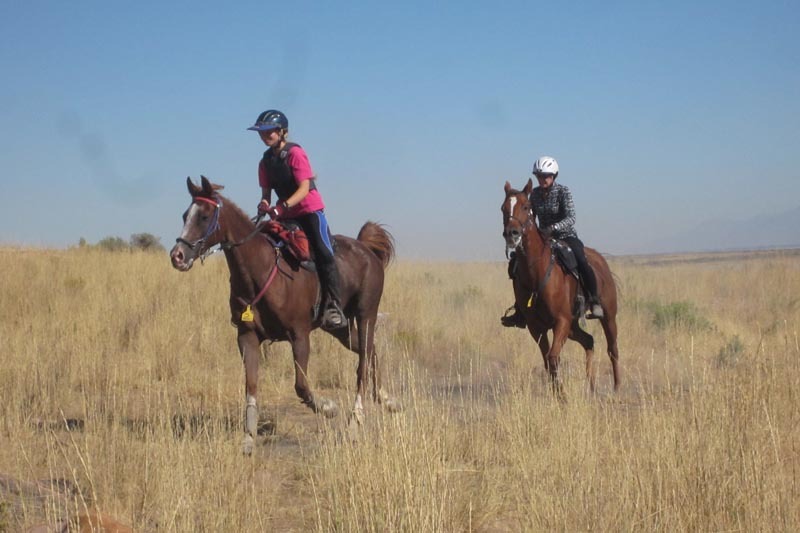 The event is comprised of a two day Competitive Trail Ride National Championship and a 50-mile and 100-miles National Endurance Championship Ride for both Purebreds and Half-Arabian/Anglo-Arabian horses, along with several open Endurance and Competitive Trail rides. 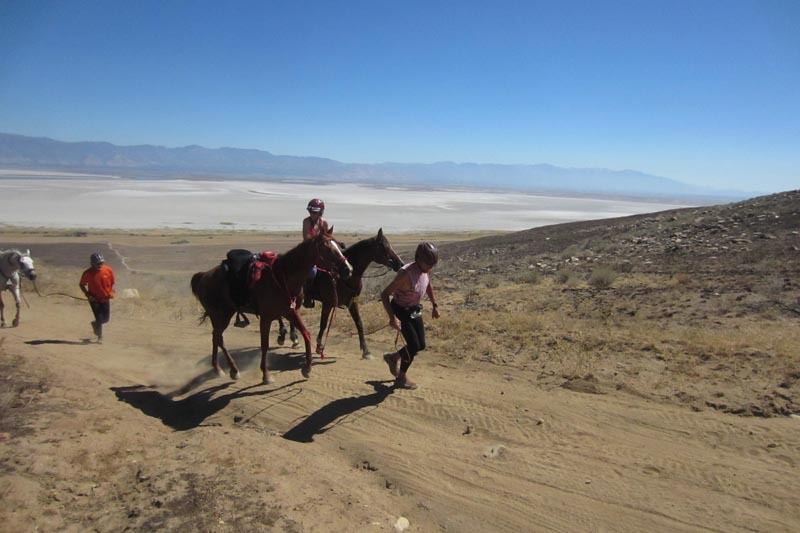 Distance Nationals wraps up a year of hard work, determination and many miles for AHA distance riders and their horses. 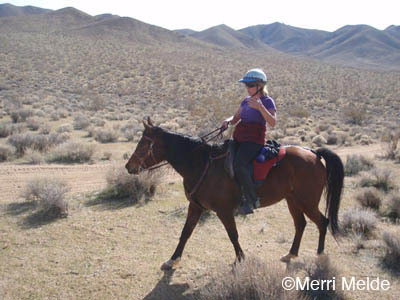 Learn more about the AHA Distance Nationals at www.ArabianHorses.org/DNL. Three events – one amazing breed. The Arabian horse will truly set the standard this week for diversity and athleticism in motion. Endurance, Sport Horse, Halter and Performance horses will all prove to the world why the Arabian horse is the best – all within the same 48 hours! To learn more about the most amazing breed on earth, visit www.ArabianHorses.org and discover the Arabian horse! 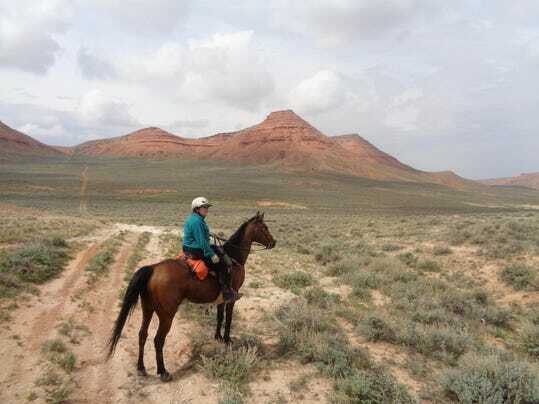 Brandon Reed and BA Treacle won the 49th annual Virginia City 100 endurance ride Saturday near Virginia City, Nevada. They finished at 10:55 PM. The start was 5 AM, in front of the Bucket of Blood Saloon in downtown Virginia City. 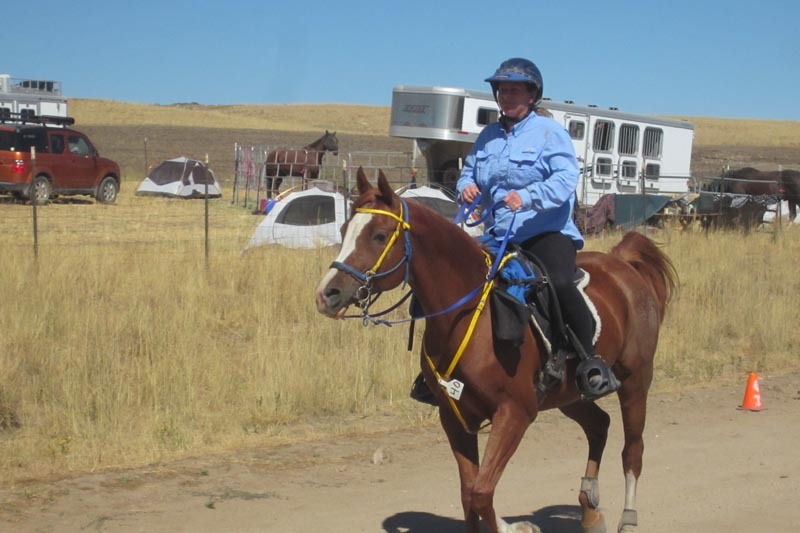 The mare is owned by Hugh and Gloria Vanderford; Brandon rode her to a 14th place finish in the Wild West 50 in June, and a second place finish on the Camp Far West 50 on September 3. BA Treacle also won the Best Condition award. High vet score went to 4th place MM Cody, ridden by Samantha Ellis. 44 riders started, 29 finished. • Junior Alex Neihaus, who finished her 6th 100-mile ride this year! Just 17 starters in the AERC National Championship 100 on September 10, but it was a strong, competitive group. Riders left on the trail at 5 AM, dark. Suzy Hayes and Greenbriar Al Jabal ("Atlas") led the way out, and yes, it was quite dark. "I couldn't see anything!" Suzy said later. "Like my husband says, 'It was darker than the inside of a cow!' I just had to trust Atlas and let him go." 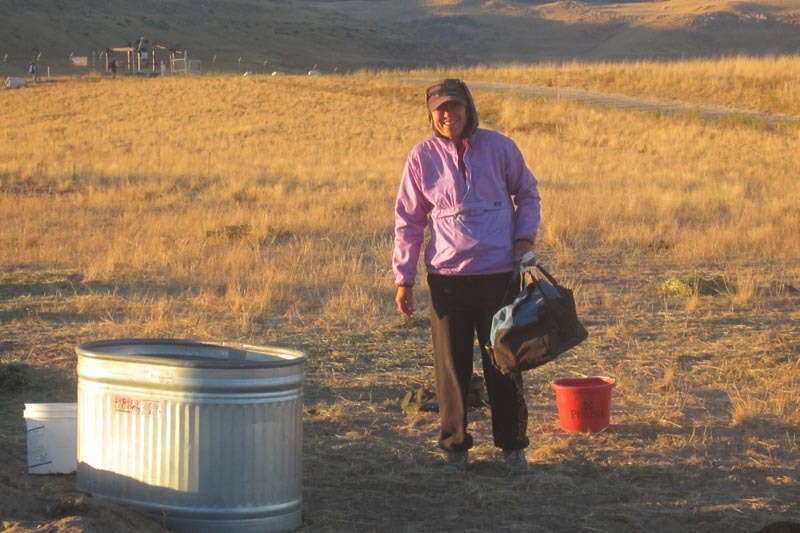 Just four miles out, she found herself splitting a herd of buffalo, but Atlas just carried on. An expectant group gathered at the out vet check at the White Rock Bay parking lot: vets (head vet Olin Balch, Karen Balch, Greg Fellers, and Jared Christensen), vet students, who would be taking pulses and getting a taste of vetting at an endurance ride, crews, and friends of crews. Out to watch and participate for the weekend was Robert Bouttier of Drinkers of the Wind Arabians, sponsor of the 50 and 100 Mile Championship winners and Best Condition, with custom blankets. Robert enjoyed jumping in to help Christoph at the vet checks; Christoph has partnered in the past on several successful horses bred by DWA Arabians. It was a treat seeing Junior Anya Levermann's father, Peter, present at this ride. He was giving his wife Katrin a break for the weekend. Peter and Anya drove down from BC (Canada) in their car, taking two days to get here. 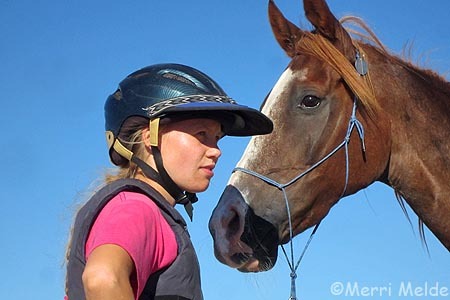 Anya was riding Chris Martin's Monk, whom she rode to a 5th place in the Sunriver Classic 105 in June. 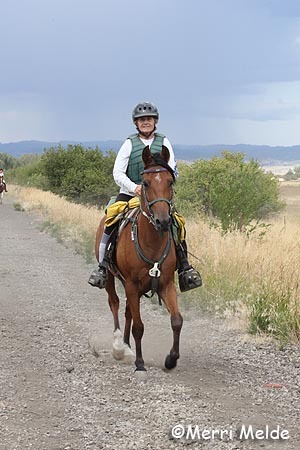 I like to call the Levermanns endurance jet setters, as this year, Anya and, often, her mom, are traveling all over the country doing 100 mile endurance rides together, including the Titanium Run, Big Horn and Santiam Cascade. 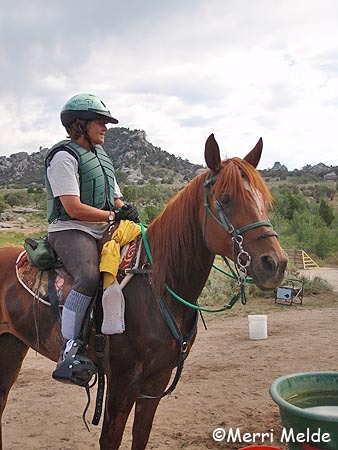 Anya is, in fact, tied with fellow Junior rider Alex Neihaus for the Junior National 100 mile award - both were at 405 miles before the National Championship. Alex was also riding this AERCNC 100 on her horse Airborne, with her grandmother Joyce and Joyce's newly minted Hall of Fame gelding, LV Integrity. 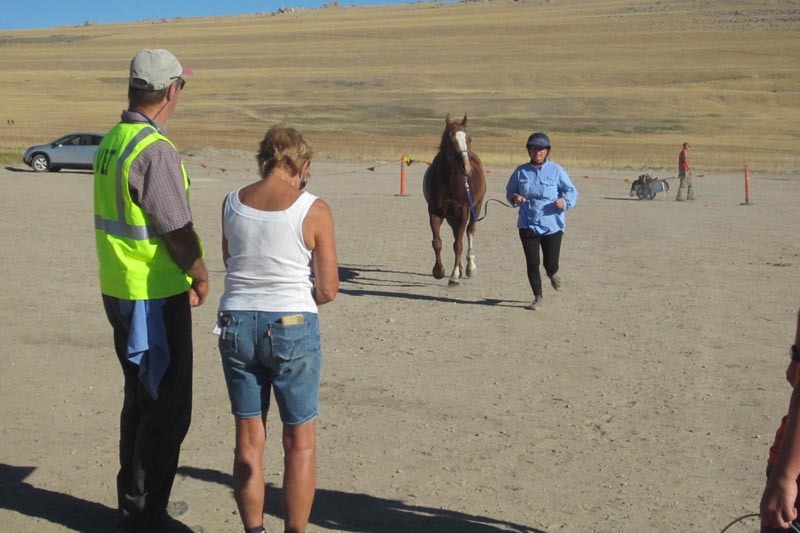 The first riders began arriving into the first pulse-down-trot-and-go vet check at 14 miles in just under 1 1/2 hours. It's a flat, nice, rockless stretch that horses can move out on. The leading riders into this first check were a hint as to how the finish would ultimately turn out late in the evening. Dean Hoalst (Pay Attention) and Melissa Ribley (Ever Ready) were the first to arrive, with Suzy Hayes close behind. Dean and Suzy pulsed down first ahead of Melissa. Just after them were Leah Cain (OT Dyamonte Santo), Pam Bailie (Bailie Skrit Ablane) and her sponsoree, Anya Levermann (Monk). After a gap of 9 minutes, Ann Hall (HCC Zara RR) pulsed down, followed by "the two Jennies," Jenni Smith (M Dash Stella) and Jennifer Waitte (M Dash Czoe), aboard Waitte's two homebred mares. The rest of the riders trickled in over the next 23 minutes, a spread of 41 minutes between first and last: Christoph Schork (GE Pistol Annie), Alison Farrin (Shalimar Yukon), Kevin Waters (Belesemo Impressario), Joyce Sousa (LV Integrity) and her granddaughter Alex Niehaus (Airborne), Robert Ribley (Regret), Kecia Smette (LC Tripleplay) and Kathy Backus (Dynazel). Thursday's 50-mile winner, Jill Haunold, helped crew for Dean Hoalst. Jill and Dean rode together for the first 14 miles of the 50. Dean had the smallest crew bag ever in the 100 mile ride. It was so small - it was packed for 4 out checks at this spot - ride management overlooked it off-loading everybody else's crew bags. In fact we were so astounded by Dean's tiny bag, that we rummaged through it, so that we could perhaps learn how not to pack body bags full of things for single out vet checks. Seriously, look how small Dean's vet check bag is!!! I mentioned in Part 1 how this ride was small in numbers, but big on friendly competition, and seemed like one big family. At this vet check, and throughout the day, while crews waited around for their own riders who were on trail, almost all of them jumped in to help other riders when they came in to the vet checks. The horses headed out onto the mountain to finish their 14 mile loop, back into this out vet check for their first hour hold. Dean, Suzy, Leah, Pam, Anya, and Melissa were still within 3 minutes of each other at the end of the 14 miles. This group kept up their fast pace and left a gap between the next group of nearly 30 minutes. Ann and the Two Jennies arrived next, and unfortunately Jenni Smith's mount M Dash Stella was pulled for lameness. 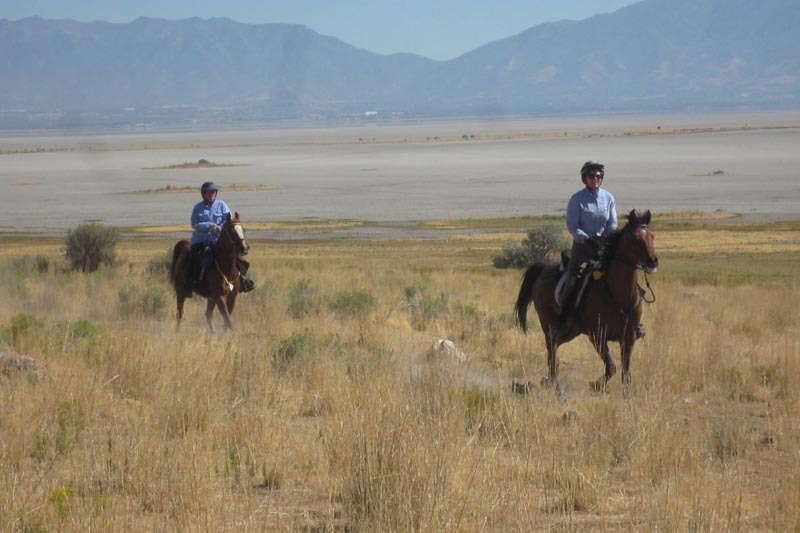 Jenni and Jennifer always have a good time riding together, "chattering away," Waitte said, but Waitte and Ann Hall teamed up the rest of the day, also having a great time together and chattering away whenever I came across them. 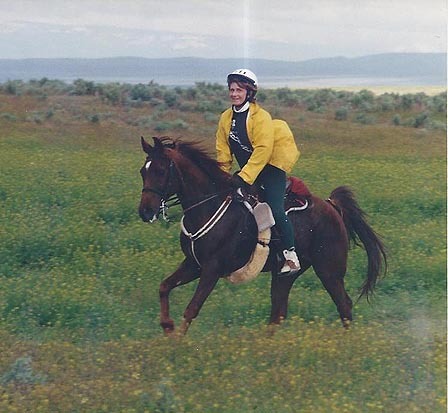 The great smile never left Ann's face all day; she was thrilled to be riding on Antelope Island for the first time, and for the stars to align for her to be riding her beloved Zara in the Championship 100. Following them 10 minutes later were Christoph, Kevin, and Alison. There was an approximate 45 minute gap back to Joyce and Alex, followed by Robert, Kecia, and Kathy. Next was a 22 mile loop, back up the mountain for an abbreviated repeat of the previous loop, then the 12 mile stretch back to basecamp at 50 miles and another hour hold. The morning had started out quite chilly - cooler than all the previous mornings - but the day was quickly warming up and, with no wind, becoming the hottest day of the week. Leading the way into camp at the 50 mile mark were Anya and Monk (he was full of beans today for Anya, who was riding him in a sidepull) and Pam and Bailie. Melissa and Leah, then Dean and Suzy, were hot on their tails. Leah's and Pam's horses pulsed down first; Pam would wait for Monk who pulsed down 4 minutes later, so it was Leah and Santo who would head out first on the second half of the hundred. The next few miles were a long, hot climb up the south end of the island's mountain, 14 miles before the next water stop (it was impossible to haul water anywhere on this loop, "so make sure your horses are well hydrated before you leave camp," ride manager Jeff Stuart cautioned, "and ride accordingly"), and another 6 miles into the out vet check at 70 miles. All 6 of the front horses pulsed down within 5 minutes of each other and passed the vet check, cleared to go. But as the lunch stop went on, Dean was concerned that his horse wasn't eating. He opted to stay longer in the vet check, and eventually pulled rider option, because he decided it was not their day. Kathy Backus' horse Dynazel pulled here for lameness. Suzy Hayes and Atlas left in second place on the next loop, but Atlas also had not eaten all that well at this vet check, which was unusual for him. So she was going to baby him the next stretch, ride him according to how he felt, and not push to stay in or near the lead. Ride manager Jeff took me on the ATV on the start of this loop, the long, sometimes steep climb up this Sentry trail to the ridge on the southern half of the island, with a terrific view of the eastern half of the Great Salt Lake (and ridecamp far below) and the western half of the lake. I hung on for dear teeth-gritting life and thanked my lucky stars for a good driver and trusty ATV! 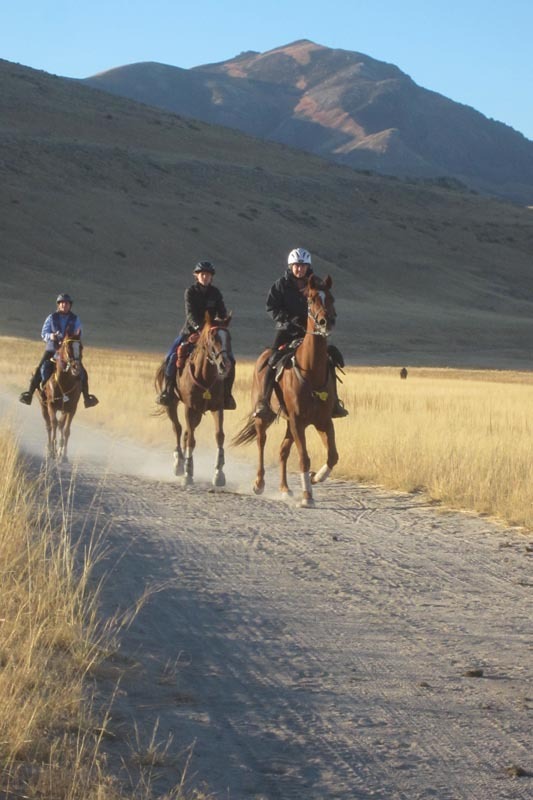 We passed Ann and Zara, Jennifer and Czoe going up the hill; then we waited for them on top to trot on by us. Of course they wore big smiles on their faces. These two got a lucky glimpse of a few of the island's big horn sheep herd. First into the 70 mile out vet check for a 1 hour hold, just after 2 in the afternoon, was Leah and Monte, 2 minutes ahead of Pam and Bailie, Anya and Monk. Melissa and Ever Ready were another 2 minutes back, followed by Suzy and Atlas a minute later. The gap to the rest of the group was 52 minutes. There were still approximately 30 miles to go, where anything could happen, but these front runners still looked strong after this hot loop. Ann and Jennifer arrived next. "That stretch was amazing," Ann enthused. "It was beautiful! We rode up to these big cliffs, and I watched Jen up ahead of me, and it looked like she was going straight up this rock wall." Those two were followed 40 minutes later by Christoph, Kevin and Alison. Still later were Joyce and Alex, Kecia, and Robert. Heading out for one more loop in the mountains of around 14 miles, riders came back through the vet check for one more 20 minute hold. First in again was Leah, maintaining a two minute lead over Pam and Anya. Suzy Hayes and Atlas had moved into 4th, 5 minutes behind Monk. Atlas ate better at the out vet checks, and he perked up more as the weather got cooler. Suzy was letting him dictate his own pace. With only 7 minutes separating these top horses and riders, with 16 miles to the finish, and with the weather cooling down, any of them could arrive home first. The sun fell behind the mountains, but it was still daylight when, at 6:52 PM, Leah Cain and OT Dyamonte Santo crossed the finish line in first place, in a ride time of 10:32. The pair was 2 minutes ahead of Pam Bailie and Bailie Skrit Ablane, and Junior Anya Levermann and Monk. Suzy Hayes and Greenbriar Al Jabal came in 4th, in a ride time of 10:51. Leah was first Lightweight, Pam was first Featherweight, Anya was first Junior. There was almost an hour gap to 5th place Ann Hall (12,000 miles) and HCC Zara RR, 6th place Jennifer Waitte (10,000 miles) and M Dash Czoe, and 7th place Melissa Ribley (21,000 miles) and Ever Ready, in a ride time of 11:48. It was Jennifer's 23rd 100 mile completion, and Melissa's 53rd 100-mile completion. Christoph Schork (30,000 miles) and GE Pistol Annie, coming off a 50 mile win at the Grand Canyon just 6 days earlier, finished 8th in a ride time of 13:18. Christoph was first Middleweight. Alison Farrin and Shalimar Yukon finished 9th in 13:19. Finishing 10th in 16:09, and first Heavyweight, was Kevin Waters (27,000 miles) and Belesemo Impressario. It was Kevin's 37th 100-mile completion. The next three to finish, in 17:48, were a picture of perseverance. Junior Alex Niehaus and Airborne, her grandmother Joyce Sousa and LV Integrity, and Kecia Smette and LC Tripleplay, were worth waiting up for. Leaving the last out vet check, Joyce and Alex actually went off trail up on the mountain - not their fault, because some kind bicyclists had pulled over and stopped to let them by - and had stopped in front of the red pie plate indicating a turn. People far below in the vet check actually saw them going the wrong way, and a series of frantic texts were sent to Joyce, but Joyce didn't see them until they'd gone several miles out of the way. So you can call that a 105+ mile ride they completed! The completion was Alex's 5th 100-mile ride of the season. When I need advice on how to ride 100's, I am going to talk to 15-year-old Anya Levermann and 14-year-old Alex! 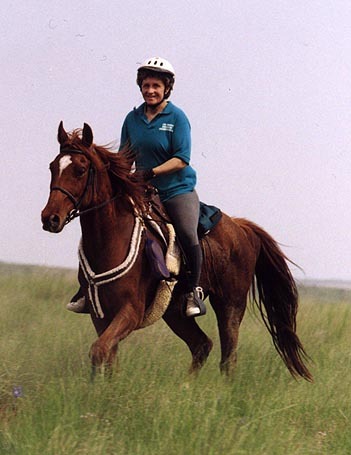 Not to mention it was Joyce's 90th 100-mile completion, and she has two horses in the Hall of Fame (Ritz and Jim Bob), but this 24,000-mile rider would always rather talk about her amazing horse anyway. LC Tripleplay, on the other hand, completed only his second 100-mile ride in the Championship. But who knows, Ritz probably gave him plenty of endurance tips on the trail under the moonlight! 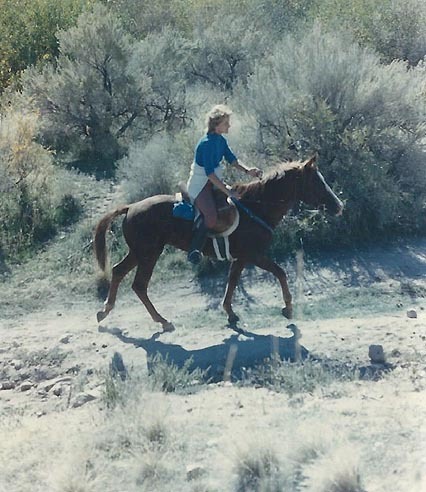 The final rider was Robert Ribley and Regret, a leggy handsome 17-year-old chestnut gelding in his 10th season of endurance, who is now 5 for 5 in the 100-mile ride department. 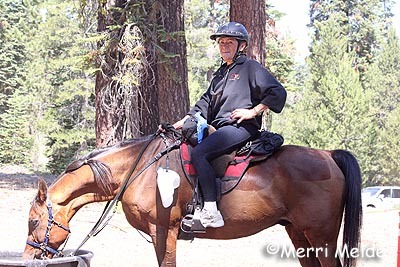 Not to mention Robert is another AERC Hall of Famer (Pard'ners Award in 2009 with Tari), a 35,000-mile rider, and it was Robert's 96th 100-mile completion. Next morning, 6 of the Top Ten horses showed for Best Condition: Leah Cain and OT Dyamonte Santo, Anya Levermann and Monk, Suzy Hayes and Greenbriar Al Jabal, Ann Hall and HCC Zara RR, Melissa Ribley and Ever Ready, and Christoph Schork and GE Pistol Annie. It was Leah's OT Dyamonte Santo who won Best Condition, and Melissa's Ever Ready who won High Vet Score. 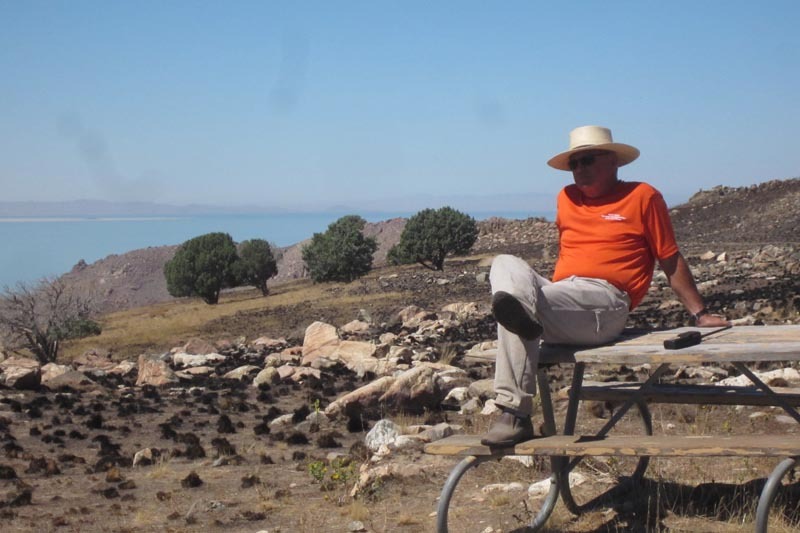 So it was a small but excellent field of horsemen and horses who contested the 2016 AERC National Championships at the beautiful, unique, and challenging Antelope Island State Park. Head vet Olin Balch complimented the horses and riders at the awards ceremony. "You all did a fabulous job as riders. There were no treatments on the 50 or 100." Though Dudley and I finished next to last on the 50 on Thursday, it truly was an honor to be in such estimable company on the endurance trail.